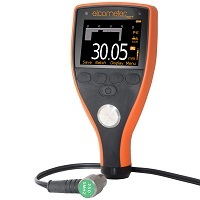 Elcometer 224 Digital Surface Profile Gauge provides the very latest in surface profile measuring technology for measuring profile on either flat or curved surfaces. 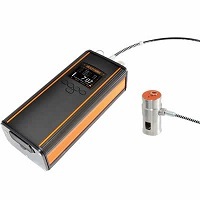 Fast and reliable peak-to-valley surface profile measurement, the New 224 can accurately measure surface profile on flat or curved surfaces up to 500μm (20mils). 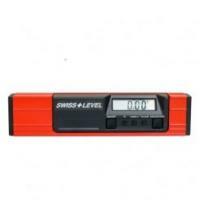 Measures both average peak-to-valley and average maximum peak-to-valley height. 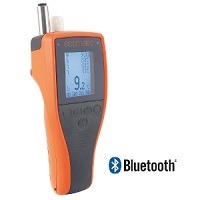 Portable, rugged hand-held design is ideal for field use. 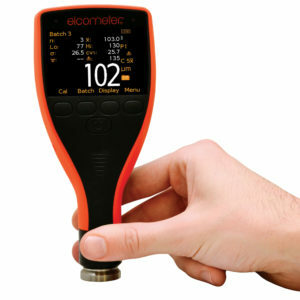 The Elcometer 224 surface profile meter is available in two different models: Model B and Model T. Each surface profile gauge provides the user with increasing functionality – from the entry level Elcometer 224 Model B, to the top of the range Elcometer 224 Model T, with memory, alpha-numeric batching and Bluetooth® communication. Standard and armoured probes are available for the separate models, providing even greater measurement flexibility. 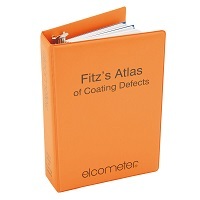 Elcometer surface profile probes are supplied with a glass zero plate, calibration test foils (nominal values 125µm (5.0mils) & 508µm (20mils) and an Elcometer Test Certificate. Statistics are calculated and displayed in real time. 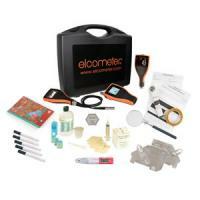 Compatible with ElcoMaster™ 2.0 and ElcoMaster™ for Android™. 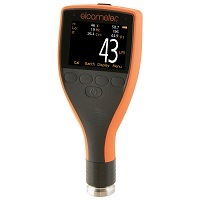 Whichever test method or Standard you are working to the Elcometer 224 Digital Surface Profile Gauge has a range of easy to use Measurement Modes. 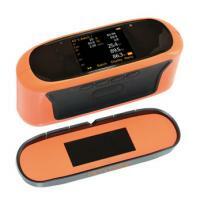 Take individual peak-to-valley measurements and save into the batch memory2. The Elcometer 224 automatically calculates and displays key statistics whilst you’re inspecting, and you can set limits so the gauge will alarm whenever the reading is outside a predefined acceptable range. 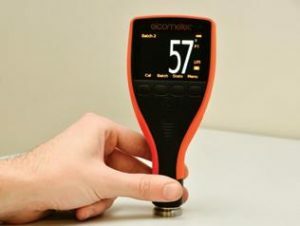 The user is prompted to take 5 readings and the mean/average measurement of each set of 5 readings is displayed on the gauge (Model B & T) and saved into the batch memory (Model T only). The user is prompted to take 10 readings. 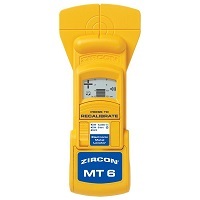 The lowest 5 readings are discarded and the mean/average measurement of the remaining 5 readings is displayed on the gauge (Model B & T) and saved into the batch memory (Model T only). 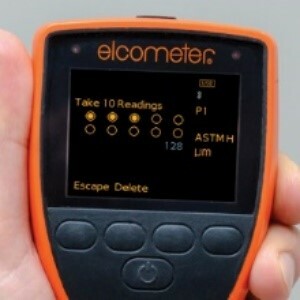 The user is prompted to take 10 readings and can choose to display on the gauge (Model B & T) and save into the batch memory (Model T only), the mean/average or highest measurement of each set of 10 readings. 1. 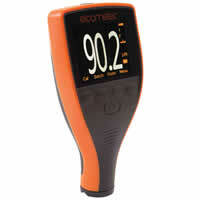 Ensure probe is 90° to substrate to ensure accurate readings and calibrate the gauge on a glass zero tile. 2. 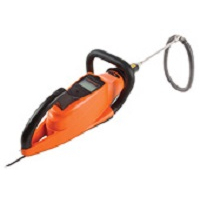 To take one spot measurement, take either 5 or 10 readings within a 100mm diameter area. 3. 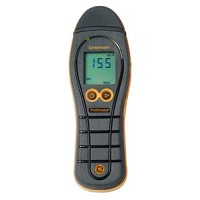 The measurement displayed is either the average peak-to-valley height or the maximum reading of the 5 or 10 readings, depending on which measurement mode you have selected. 4. 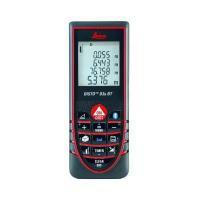 To establish the average surface profile of an area, record 5 spot measurements for each 1m x 1m area. 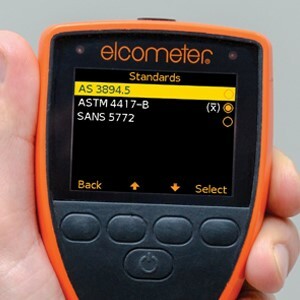 At the same time as introducing the new measurement modes, we have taken this opportunity to review, modify and simplify the calibration methods available on the Elcometer 224. The Model T now has a choice of calibration methods as detailed below. 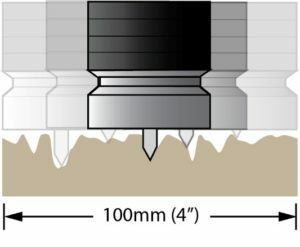 Zero Calibration: A simple method for calibrating on the smooth glass zero tile. 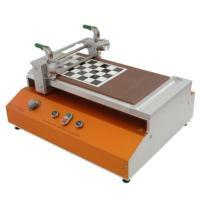 Simply place the probe on the glass tile and the gauge will adjust the calibration accordingly. This is also the calibration method used on the Model B. 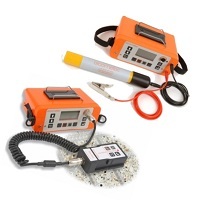 2 Point Calibration: This is a more accurate method of calibrating the gauge than the Zero method as it requires the user to calibrate the gauge using a foil and the smooth glass zero tile. 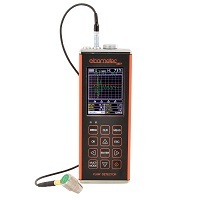 Tip Change Calibration: The precision manufactured probe tip will wear after continued use. 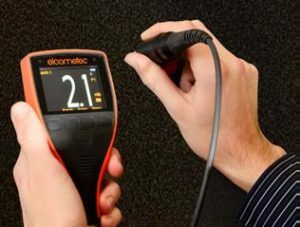 Re-calibration is required after a tip replacement to ensure the continued accuracy of the gauge. 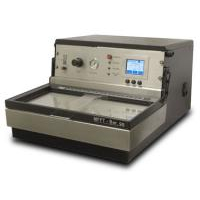 Integral gauges are ideal for single handed operation as the wide footprint of the internal probe provides greater stability during measurement – allowing for consistent, repeatable and accurate results. 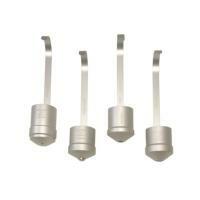 Standard and armoured probes are available for the separate models, providing even greater measurement flexibility. 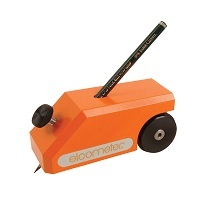 Elcometer surface profile probes are supplied with a glass zero plate, calibration test foils (nominal values 125µm & 508µm and an Elcometer Test Certificate). 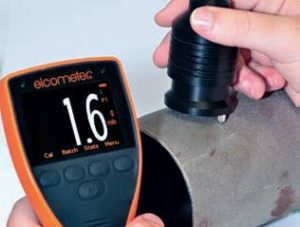 NB The 224 now has a separate gauge probe that can be used for measurements on pipes and other convex surfaces.